The Salt Lake Chamber has a variety of sponsorship opportunities. Please click on the links below to jump to the sponsorship opportunity that you would like to view. If you would like to take advantage of a Chamber sponsorship opportunity or have questions regarding sponsorship, please contact Heidi Walker at hwalker@slchamber.com. The Salt Lake Chamber was established April 23, 1887, before Utah was even a state. 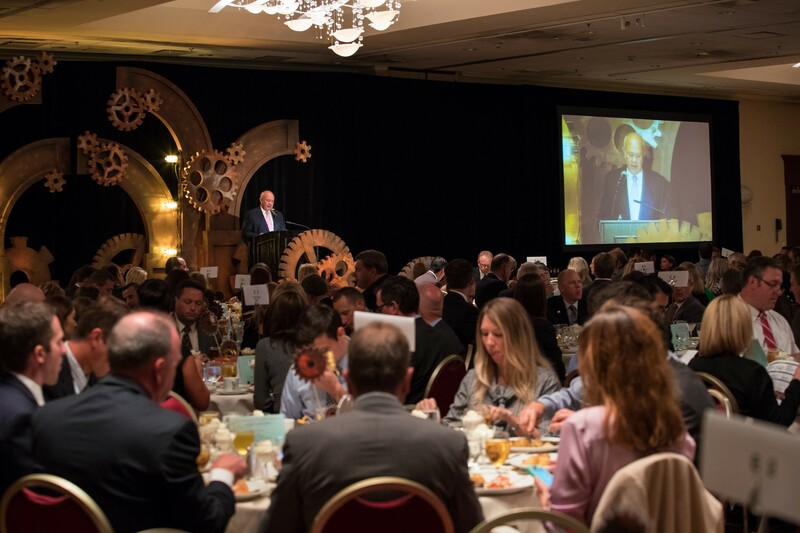 Each year over 700 members of the Salt Lake Chamber join together to celebrate the Chamber’s rich history, discuss goals for the coming year and recognize individuals and companies who have influenced the past year. ATTENDEES: Approximately 700 high level business professionals and community leaders. Each month we bring 100-250 Chamber members together for some great food, networking and a good excuse to leave work early. Business After Hours gives members the opportunity to showcase and promote their businesses. Members are encouraged to arrive early and be prepared to do business. 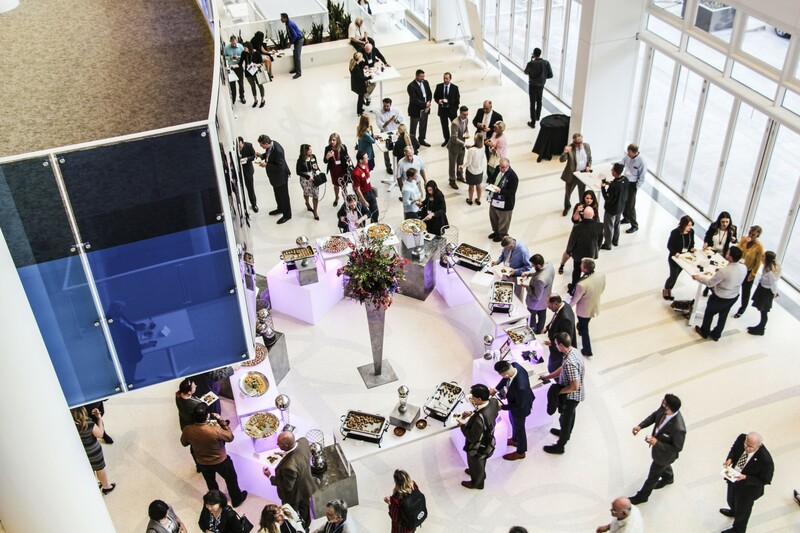 ATTENDEES: 100 – 250 business professionals interested in networking. 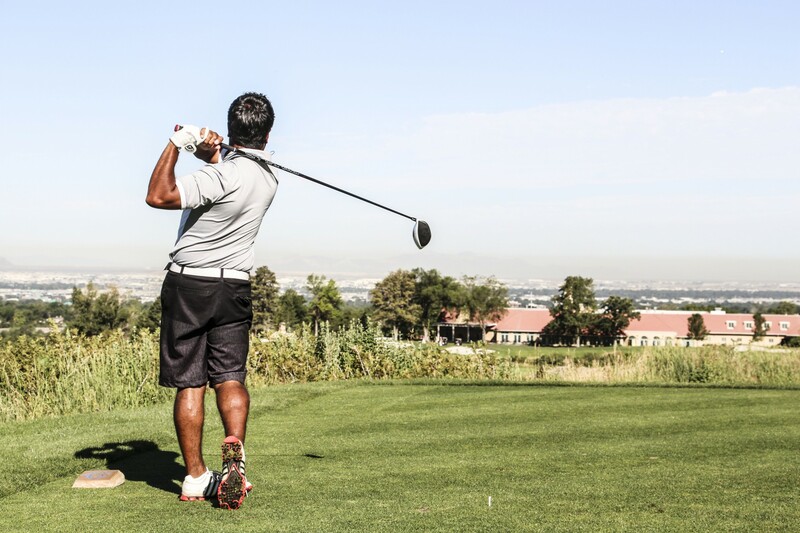 Tee it up at the incredible Salt Lake Country Club each year at the Classic Golf Tournament. We take a break from the hustle and-bustle of the business day to hit the links, make some great contacts and win some incredible prizes. ATTENDEES: 120 high level business and community leaders participate. 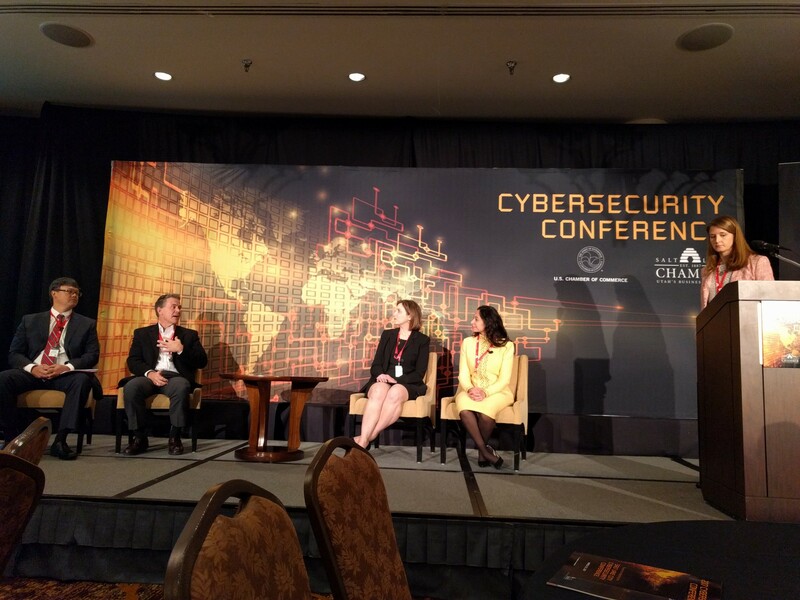 The Cybersecurity Conference brings together top experts both locally and nationally from government, law enforcement, and the private sector to help business leaders develop, evaluate, and strengthen their cybersecurity programs. The conference will lead CEO’s, CFO’s, HR professionals, and others through the practical skills and foundational knowledge they need to do their jobs well in our modern economy. ATTENDEES: 350 business and community leaders participate. 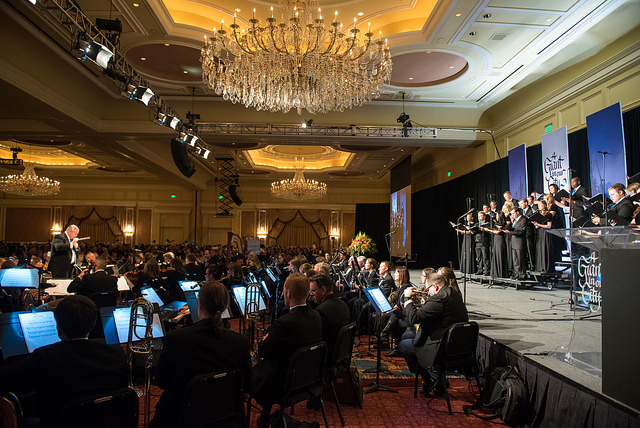 The Salt Lake Chamber Board of Governors established the Giant In Our City award in 1969. The award was created to honor the lives of exceptional and distinguished public service and extraordinary professional achievement. It is considered the Chamber’s most prestigious award and is given periodically by the Chamber Board of Governors. ATTENDEES: Approximately 1,500 attendees (high-level business and community leaders). The Legislative Reception is a unique opportunity to interact with policymakers, business leaders, and select guests including Gov. Gary Herbert members of the Utah State Legislature and other local officials during the Legislative Session. 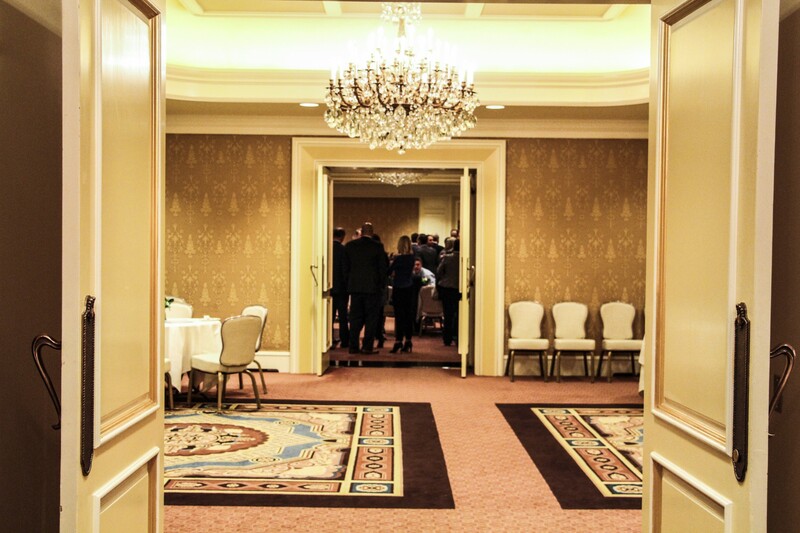 The event is a must attend for Utah’s top policy and business professionals and is a unique high-profile sponsorship opportunity during the heat of the legislative session. ATTENDEES: Business and civic leaders. 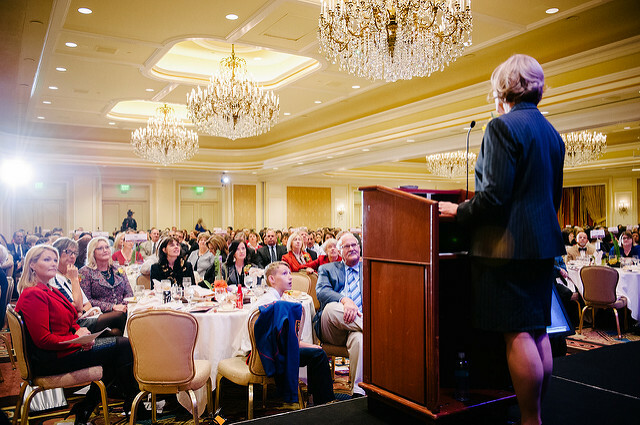 The New Pioneers: American Dream Award Program helps remind us about the positive impact of immigrants and how they have helped shape Utah’s history since the Mormon Pioneers entered the Salt Lake Valley as refugees in 1847. That shared cultural memory informs our values and beliefs today. This award honors that legacy by recognizing new pioneers who contribute to our state. 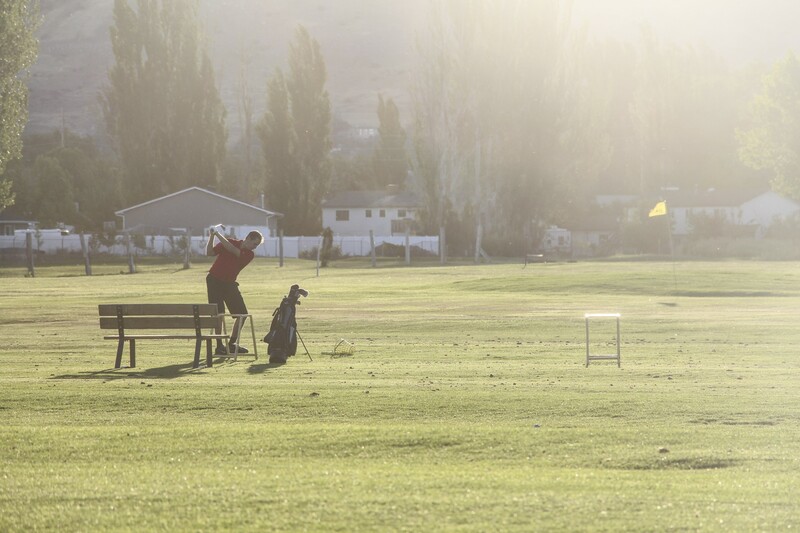 July is a great time to network with fellow Chamber members, while enjoying nine holes of golf. Come see how fun networking on the green can be at our 7th Annual Small Business Golf Tournament. You don’t have to be a golf-pro to have a good time at this event. After the tournament, join us for prize drawings and the awards brunch. Don’t forget to bring business cards! ATTENDEES: Small business owners and professionals. This conference hosted by the Small Business Coalition is specifically geared to small business owners and managers. The conference features informative and inspiring keynote speakers and numerous breakout sessions aimed to help small business improve their bottom line. ATTENDEES: Approximately 400+ small business owners, professionals and community leaders. 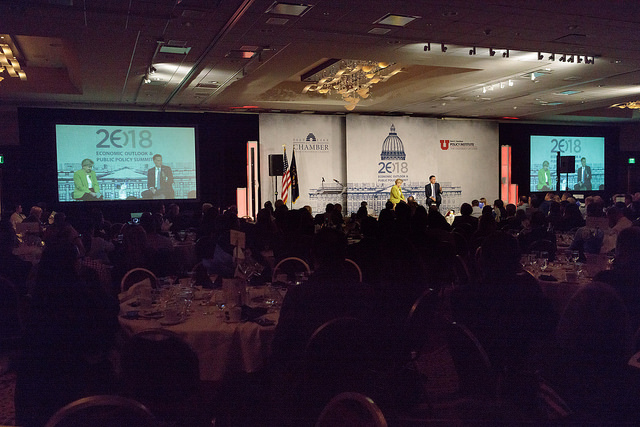 The Utah Economic Outlook and Public Policy Summit is the state’s premier economic forecasting and public policy event that is attended by over 700 business, policy and academic thought leaders from across the state. 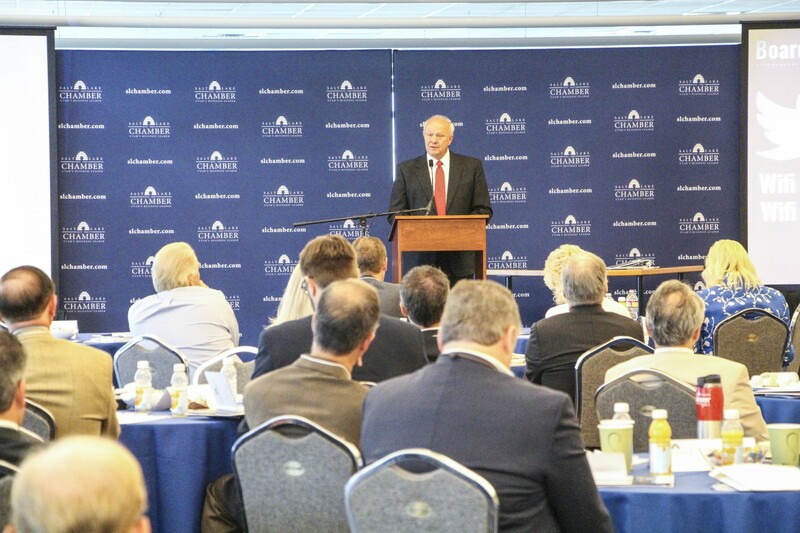 The summit presents an unrivaled opportunity for attendees to gain insights on the future of Utah’s economy and the policy priorities for the upcoming legislative session. 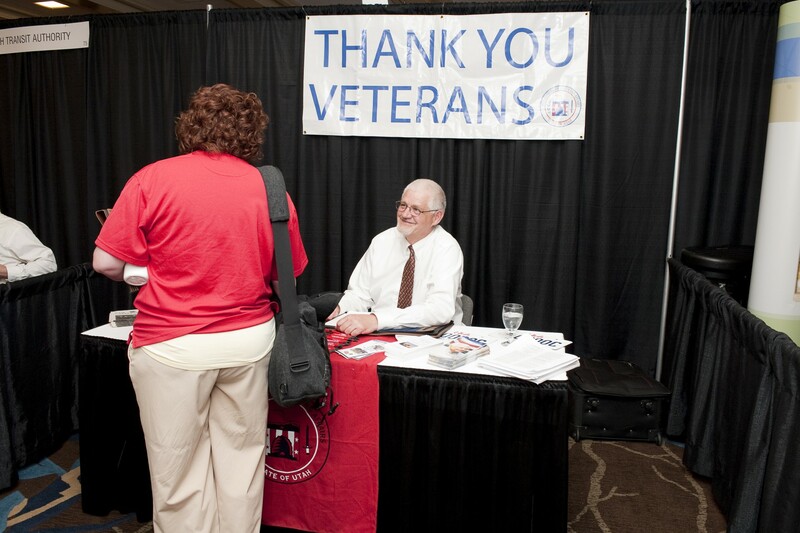 This conference hosted with the Utah Veteran Owned Business Partnership and connects veteran entrepreneurs and business owners with the resources they need to be successful in the marketplace. 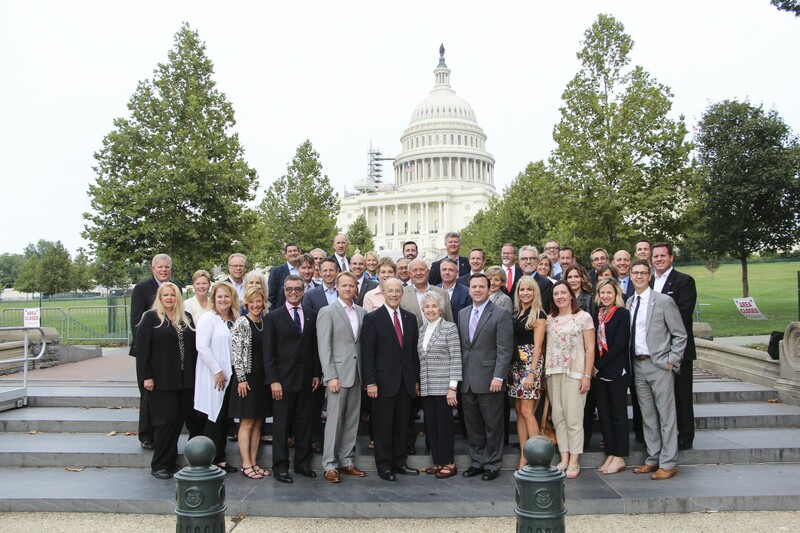 The Salt Lake Chamber’s annual Washington, D.C. trip has proven to be a powerful networking and educational opportunity bringing Utah’s business leaders together with members of our federal delegation and other policy and business groups headquartered in the nation’s capital. Sponsors receive a priority in shaping the trip agenda, selecting and recruiting speakers and issue tracks. This sponsorship opportunity is unique to not only place your company in front of Utah’s premier business leaders, but also our federal delegation. ATTENDEES: Business and community leaders. The Women & Business Conference and ATHENA Awards Luncheon is the primary fundraiser for the Women’s Business Center. A full day of informative breakout sessions and inspirational speakers that recognize the accomplishments of those helping make a difference here in our local community.